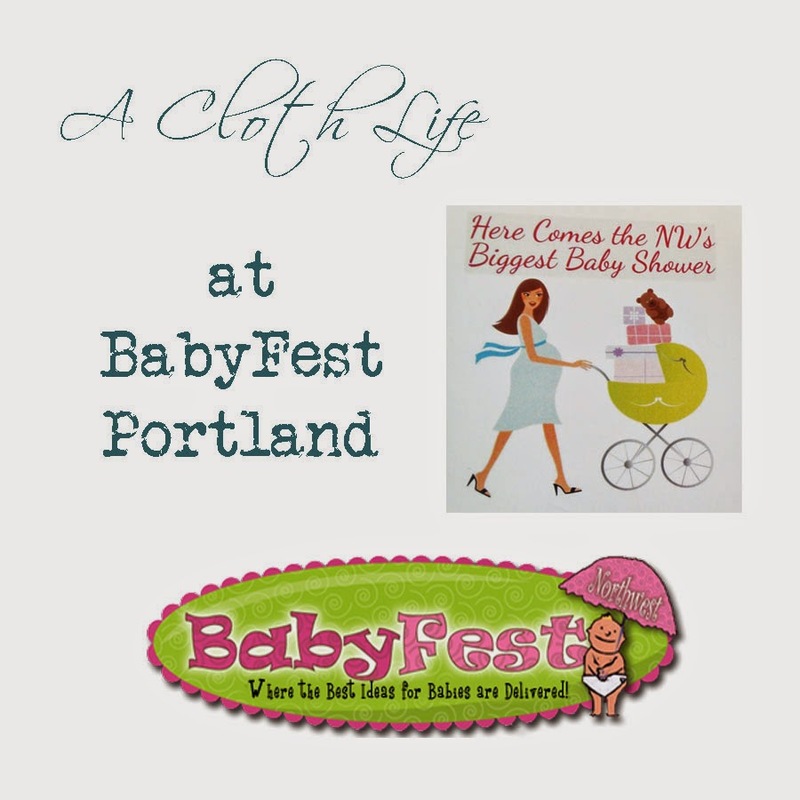 It's been well over a week since I went to BabyFest NW: Portland. 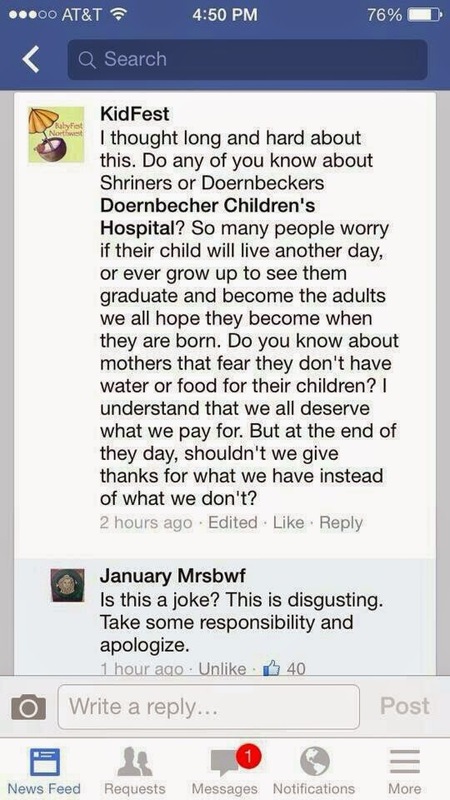 If you were following #NWBabyShower on Twitter or the KidFest Facebook page, you're probably aware there's been some controversy over the event. Because I so adamantly promoted the event, I feel it's important for me to be completely open and honest on my opinions and experience. So I'm taking a page out of the DG recruitment handbook (that's a figure of speech), and going positive, negative, positive. It's always best to end on a positive note, right? In the interest of full disclosure, I want to make it known that I was invited to be a VIP blogger for the event. This was well after I had already purchased my ticket and posted about it here on the blog. I declined the offer since I 1. already had a ticket that I'd happily purchased with my own money, and 2. I'm actively trying to scale back on obligations the closer I get to my due date. Side note: I'm full term! This baby could come any time now - and I am so ready! Physically, at least. Anyway, the reason I bring up the whole "VIP blogger" thing is because my name was left on the list for whatever reason. I want to be clear that I didn't get in earlier, I didn't get free tickets, I didn't get anything I didn't pay for out of my own pocket. 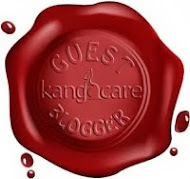 This review/overview is entirely from my view as a paying attendee. Also, this is a really long post, so consider yourself warned. The vendors were amazing. There were more than a few that I was surprised NOT to see, but I honestly don't know where they would have put them. 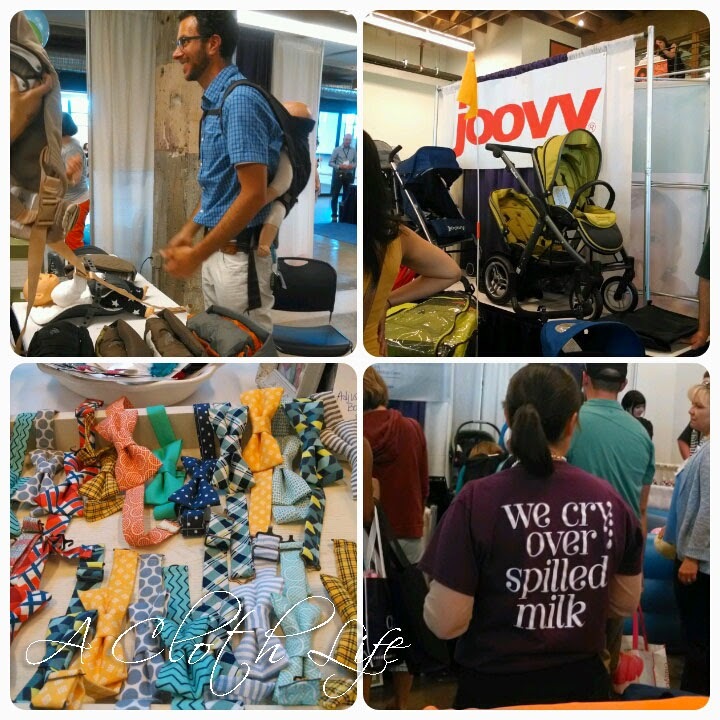 I loved seeing all the different products and talking with exhibitors. They were all extremely friendly, happy to answer question, and just great to visit with overall. There were so many more, but that could take an entire post on its own. Truly, though, the people representing these brands (named or otherwise) were fabulous. Here's where things get a little touchy for people. There were two main issues which sort of trickled down to a lot of other issues. 1. The event was severely oversold. In the final weeks leading up to the event, you may have gotten the impression (as I did) that they were having trouble selling enough tickets - with all the deep discount codes, giveaways, and even a final push on Groupon the day before. You would be wrong. Roughly a month before the event, organizers were already expecting 1300 attendants, not including staff and exhibitors. For an event geared toward pregnant moms (and speaking as one myself), the aisles became overcrowded and nearly unbearable. Carrying around my swag bag (a perk of getting a VIP ticket) sometimes made it feel impossible to maneuver through the crowds. And it seemed the more time that went on, the more crowded it became. No surprise considering my ticket was supposed to get me in at 10am, but because of the long line and confusions with the check-in area in general, it took me nearly 30 minutes just to get checked in, get my swag bag, and get to the first booth. And I started out with the front door in view. Also, I was sweating at that point. They eventually opened all the exterior doors for better ventilation and air flow, which definitely seemed to help the temperature of the space. Fortunately, there were also water bottles available free of charge in the mezzanine (the very top floor), but this wasn't a well advertised perk. I only discovered the water because I wanted to check out the spa area. 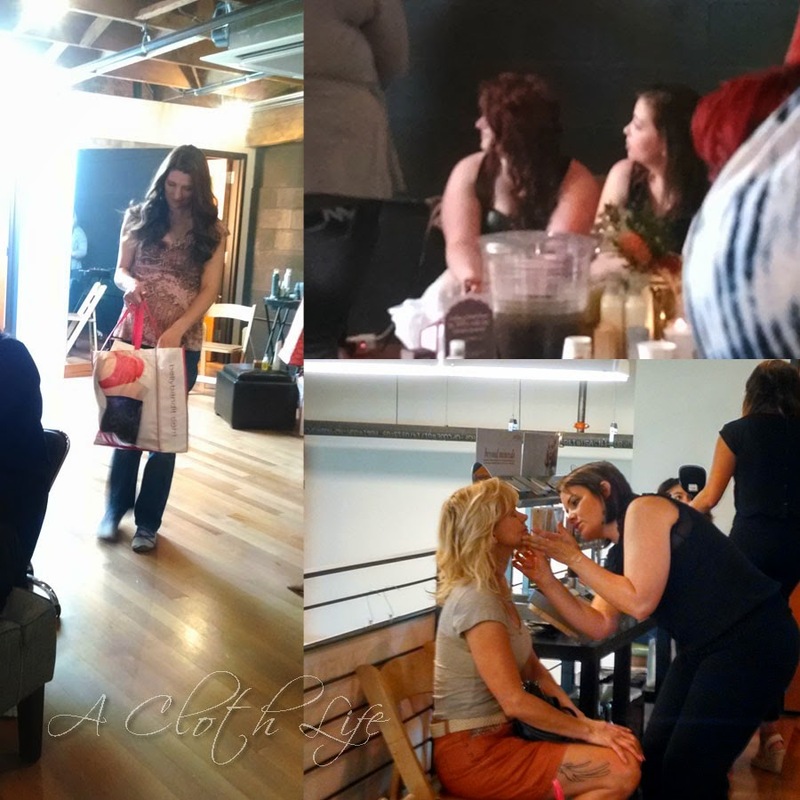 It was a fun opportunity for women to get their hair, nails and makeup done. If you wanted to wait in line. My priority was in the vendors and speakers, though, so I just took a few quick pictures and squeezed my way back down the stairs. I wouldn't say the spa area was a complete failure - the women walking out of there looked fantastic! 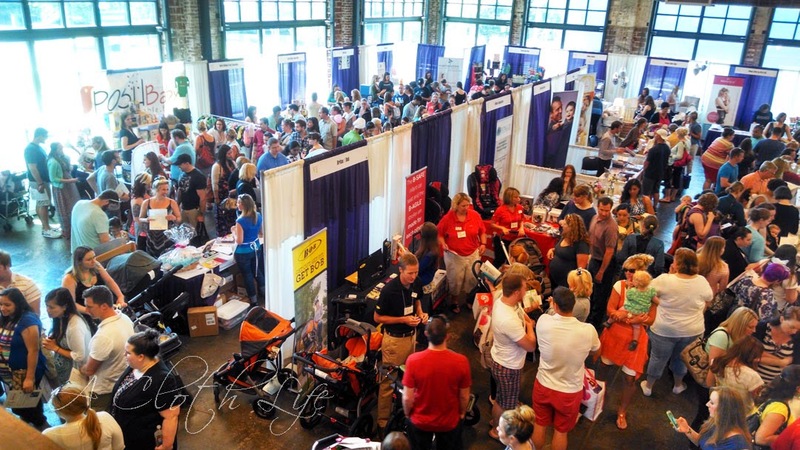 The downstairs (clubroom), where more exhibitors were set up, two rooms were assigned for speakers, and the highlighted event The Big Shower (giveaway) was set to take place, has a maximum capacity of 643 people. For the entire downstairs. Without any setup. Exhibitors aside, keynote speakers Liza Huber and January Harshe reasonably warranted a much larger space than they were afforded. With speakers scheduled back-to-back in 30 minute increments, and with limited seating - the idea of clearing the rooms in between speakers became a very far fetched idea. No incentive was great enough to get pregnant women (myself included) to give up their chairs, exiting the room to line up just to re-enter a room where they would likely have no seating. Unfortunately. And this really destroyed the speakers timeline, in turn putting the entire show off schedule since The Big Shower (a raffle drawing, among other activities) was to take place in the same space. The kicker in the end for me was how the event organizers/staff kept citing how attendance was so much greater than they'd anticipated. Did I mention tickets were sold in advance? And that organizers boasted a month in advance that they were expecting 1,300 expectant/new parents and 80 exhibitors? Those numbers alone would put the building overcapacity. An added downfall of the huge turnout was that the ONE place in reasonable walking distance to get food that all attendees and vendors were encouraged to either eat at or get food from (Stingray Cafe - a part of the Leftbank Project) ran out of food part way through the event and shut down early. I lived off a granola bar during the event. Afterwards, I was saved by the representative for Happy Family who graciously gave me one of their (delicious) granola bars on the way to our cars (btw, it tasted much better than the one I'd brought with me). Organizers claimed to be baffled and disappointed since the restaurant had agreed to serve lunch for up to 800 patrons. So... a little over half the people at the event. You see where I'm going with this, right? They sold too many tickets. Premium Pass Includes; Red Carpet Entry at 10:00, VIP Seating at Shower, Super Premium Gift Bag with over $350 in fabulous products & services including an Ergo Baby Galaxy Grey Carrier valued at $120. (One gift bag per Couple), Meet & Greet with Celebrity Guests, 1 Baby Shower Bingo Card, access to seminars, samples, shopping. First of all, Ergo apparently never agreed or offered to provide that specific carrier. I still got a great Ergo carrier, so I'm not complaining, just pointing out the inconsistency in what was advertised and what was provided. I never saw an opportunity for a meet & greet with celebrity guests aside from what anyone else was provided - if you were lucky enough to see someone standing around, you could go up and hopefully talk to them. And this is only if the celebrity guests they're referring to were their speakers and exhibitors. I honestly have no idea who else they could be referring to. The Premium swag bag could only come close to its $350 purported value if you include the Ergo as well as all the coupons and promotional materials. Anna of News from The Mars has a great recap HERE where she goes through her bag piece by piece. My bag was almost identical... except I actually got a little bit less. Organizers have tried to explain that (despite the description in Exhibitor Info on VIP Swag Bag Gifts) sponsors provided varying amounts of items, but all bags were worth 3 times the ticket price (ie. equal value). 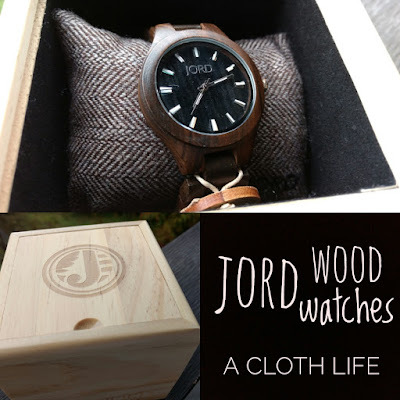 So, essentially, the value of the Aden & Anais swaddling blanket, the Tortle beanie, etc. which I did not receive in my bag was made up for in coupons and/or flyers. Sounds fair, right? To top it off, staff working the entrance were not well prepared. It turns out people with regular passes were getting VIP swag bags, and people with couples VIP tickets were getting double swag (two ergo carriers instead of just one) - leaving people who had genuinely paid for that merchandise empty handed. Shame on those dishonest people, but disappointing that this was so easy a scam for them as well. Fortunately, event organizers have agreed to ship items to VIP ticket holders who were not given their carriers or swag bags period. The next day, event organizers sent out a blanket apology email to ticket holders with line itemed excuses for various event shortcomings. We were then offered basic couples passes to either the event in Seattle this September (a $30 value) or next year's Portland event, as well as a family pass to KidFest NW in Portland in January (a $20 value). I have yet to take them up on this offer. I was able to catch the tail end of the Healthy Start Pregnancy Workshop put on by Jessica Kolahi, LAc of Vitalize Acupuncture. I really wish I would have taken advantage of more natural remedies like acupuncture during this and previous pregnancies. It's amazing to hear (and experience!) the benefits acupuncture and chiropractic techniques can have. 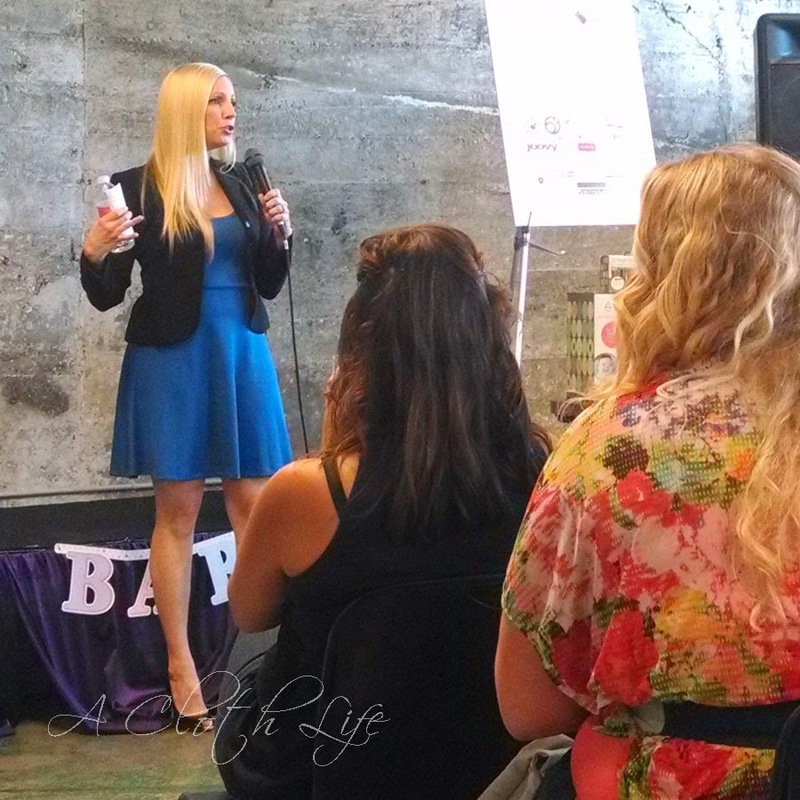 The second session I attended was Liza Huber of Sage Spoonfuls. I actually didn't know much about her beforehand, but I was very impressed with her knowledge and passion. I made almost all of G's baby food from scratch, but for some reason opted for store bought baby food for N. Hearing Liza speak truly reignited my own passion and interest in preparing baby food for this little one. And the great thing was that when I went home and announced to my husband that night that I would be doing just that - he was wholeheartedly on board. You really need to check out her website and her book (which I will be purchasing as we get closer to introducing solids to this as-yet-not-born member of our family). I'm seriously excited to start down this road again! My third session was with January of Birth Without Fear. I first met and heard January speak at MommyCon this past fall. She is absolutely amazing. I cannot hear her speak without tearing up at least a little bit. If you're pregnant, thinking of becoming pregnant, or even done having babies, you can benefit from this women and her efforts in empowering women. All in all, I'm glad I went. I was more than a bit disappointed with different aspects and occurrences throughout the day, but the speakers really were amazing, as were the exhibitors. I don't know if I would do it over again for the cost and discomfort, but I'm hopeful that the organizers have learned something from the failings of this particular event and will take those lessons with them as they prepare for Seattle. I originally bought my ticket and promoted this event so strongly because I had genuinely high hopes. I wanted this to succeed. In the end, I felt like organizers must have cared more about making money through extra ticket sales than the positive experience and well-being of attendees. $100 is no small amount for any expectant parent to put down for an event like this. In reality, I think they simply did not put enough care, responsibility and thorough planning into the details. Every detail.